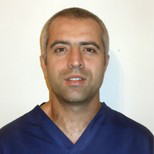 By prior arrangement, after care and check-ups can be provided at our partner clinic based in Sheffield, by Dr. Claudiu Patrugan – Associate Dentist in IDH(Integrated Dental Holdings). Your treatment has a guarantee up to lifetime, specific to the different treatments provided by our specialized dentists. DENT ESTET is one of few dental clinics around the world where lifetime guarantee includes dental implants, as well as root canal treatment! What is root canal treatment? For example, teeth suffer preparation during crown and bridgework treatment resulting in a need for a root canal treatment afterwards.